No red undies! No red boots! No standard "S" logo on the chest! 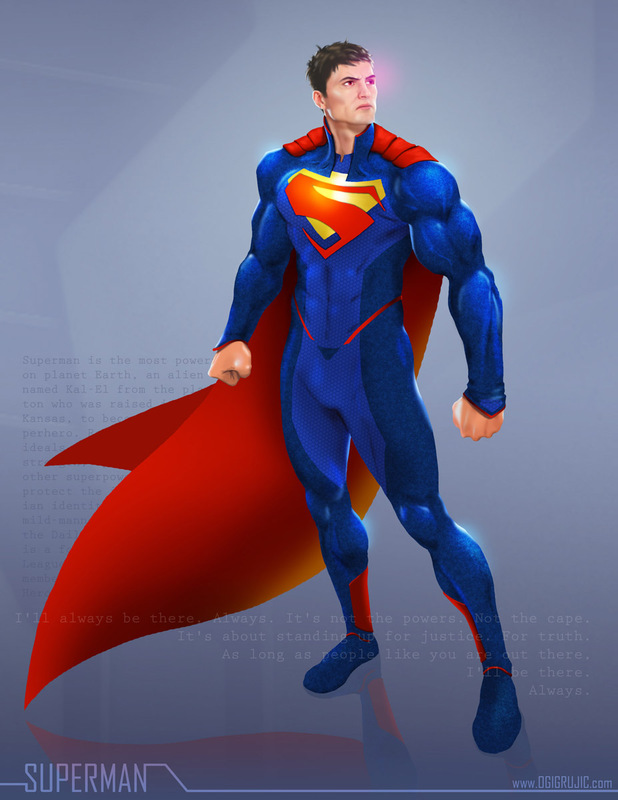 I tried making his costume very modern and simplistic, but remain very close to the original design so it's still very much Superman. I also ditched the slick hair and pretty boy face. I designed him to look like a man who uses his fists, sharp cheek bones, iron jaw, and over-exaggerated biceps that mean business.